To Reach The One – Page 2 – Are you the one? I did not want the day to past without wishing you a Happy Resurrection Day . I’ve been out-of-pocket for the last few months but it does not mean that I have not thought about ya ! However I hope that you have taken this day and reflected on what Jesus has done for you . 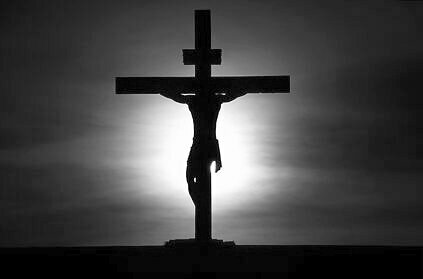 He has paid the debt for out sins . Let us be grateful for what Jesus has done . Today is the last day of the 2013 year. This year has brought good times and times we wish we can forget. Whatever the year has brought let us be thankful to God that we survived it thus far. I hope that you all have a wonderful finish to the year and a beautiful beginning to the new year. Merry Christmas to All! Today we celebrate the savior Jesus Christ’s entrance into the world. Remember all that he has done for us. In my life I have had my share of relationships that have been great and others that have gone completely wrong. Friends have walked away from me and I have walked away from friends. But one relationship that I can truly say that I am thankful to have, is the one I have with God through Jesus Christ . I know it sounds cheesy , but its true. Having this relationship gives me peace and the ability to be who I was created to be . I don’t have to put on any facades . I just have to be myself . Its great .The common misconception about having a relationship with God is that I have to have it all together. This is wrong. I myself don’t get it right everyday. I don’t say or think the right thing everyday. I am work in progress and God knows that . I’m nowhere near perfect but God is working on that with me . And the fact He still loves me the same , even with my flaws, makes me grateful. I don’t know where you are in life but let me encourage you that starting a relationship with God Through Jesus Christ is the best thing that you could do . Does it mean that you won’t have problems? No. Does it mean that you have to have it all together when you come to Him .No. God will work those things out in you as the relationship grows. If you don’t have not invited Jesus into your life and you would like to know more, Check out our IWBO( I Wanna Be One) page . I hope that you have a great Thanksgiving Day ! What do you do with your time ? Is your time spent running from here to there? The Bible says that we should number our days, meaning we should take careful thought to how we spend each minute. Because our lives is nothing but a vapor , we have to make each second count .Two years ago I attended a service in which Pastor Kerry Shook taught on being “weird” with your time. It was based on the book called Weird by Craig Broeschel. Here are the notes from that sermon describing the key questions you should consider when committing your time . Is it worth my life?- Does the commitment line up with the will of God? you will spend most of your time based on your priorities . If your biggest priority is work then you will spend most of your time at work . Is it a divine opportunity or a beautiful distraction ? – Does the commitment take me away from the purpose and the will that God has for my life? Will it encroach on my sacred margin? Does the commitment take me away from my time with God ? Are you spending less and less time with God? What are you waiting for ? Procrastination only help us waste time . Can you spend that time working on the will God has for you ? Do I believe in God….really believe in God? Do I believe God and what He says in His word? Do I seek God and His will daily through prayer and His word? Am I really seeking more of God or do I just want to involve Him in my problems? Let me assure you that God is real and you can trust Him. As you examine yourself using these questions please examine your life for evidence. If you said yes to these questions without there being any tangible evidence then you are most likely in denial. There is danger in being in denial regarding your relationship with God. Look closely at questions one and two. Many of us can say yes to number one but truthfully we have to say no to number two. If we do not believe what God has recorded in the Holy Bible then I doubt we have very much faith and it is likely that we are not living a life pleasing unto God. Use every day to really get to know God and His word. The Bible is your faith factory. It is not just a bunch of stories from ancient times. Build your faith and diligently seek God on a consistent basis. Notice I said to seek GOD not a new Mercedes. God is worth so much more than a new car or house. If you live a life pleasing unto Him you won’t have to worry about those trivial things because you will have more than enough in knowing Him. Yesterday I missed the post. I got caught up in the Saturday errands. However that means that today will be the 27th day instead of the 28th day . Today we want to encourage you to stay in God’s peace which is said to guard you hearts and minds . There is a cost to following Jesus. What are you willing to pay? He found Philip and said to him, “Come,follow me”.